For anyone who likes to argue about the openness of Android, take notice right now, because Canonical is showing you how open source really works. While Google creates each iteration of Android in a closed manner before releasing the source code, Canonical has started to post daily builds of Ubuntu Touch Preview for developers that want to contribute. This is the key distinction that people point to when arguing the openness of Android. Developers can only see the code and contribute when Google releases the code, which is when the new version launches. So, outside developers don't really have any control over what happens to Android, and can only really add to what Google does. On the other hand, Canonical has been getting contributions from the developer community the whole way. 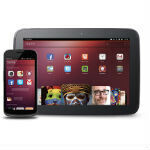 Canonical released the Ubuntu Nexus 7 installer back in October to start work on Ubuntu for tablets. The default apps for the platform are being built by the community. And, now devs can get daily builds of Ubuntu Touch Preview in order to contribute as the system is being built. This will make it easier for developers to see bugs and troubles in action, so they can work to fix them. The daily builds will also be very important for developers working on apps for the system. If you want to play around with the daily builds, keep in mind that you are also getting the latest bugs, regressions, and broken features. But, if that's your thing, just head to the source for more instructions. source: Sergio Schvezov (github) via OMG!Ubuntu! Ubuntu is great as pure open source, but I'm not sure how secure it is when anyone and everyone can tamper with it just like Wikipedia, maybe I don't understand perhaps someone can enlighten me. All I know Google controlling Android gives it more peace of mind to people. Open source usually is far more secure than anything else exactly because anyone can see the code. The process of finding and fixing bugs and security flaws is crowd sourced and far more efficient. Where your view is off is the Wikipedia comparison. You can see and edit open source code, but the changes you make have to be checked and approved by others, so you can't just go in and create security flaws. Ubuntu vs Qnx vs Android vs WP8 vs IOS vs FirefoxOs vs Tizen vs other developing OS' Innovative future I see. lets hope android doesn't remain forever #1 because I want to see something different. problem with others open OS. they dont have google ecosystem. android is gonna be number one for a long time. i think only amazon can challenge google. but they rather play nice. maybe tizen if samsung wants to go after google. doubt it.